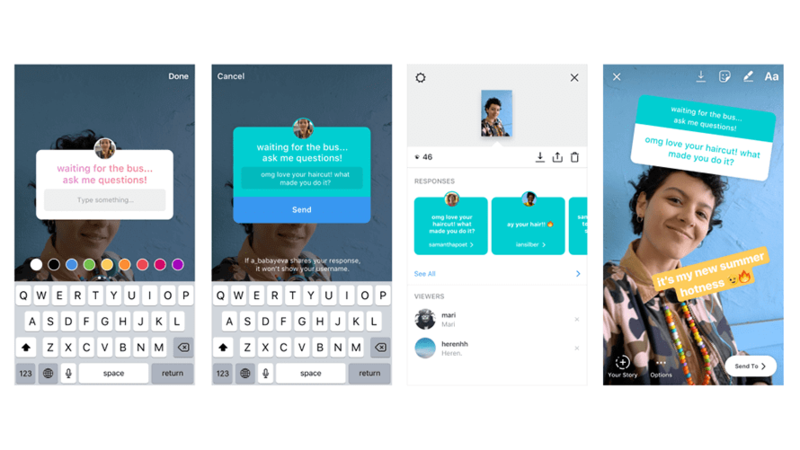 Instagram’s latest update has added a new, exciting feature to Instagram stories: The ability to ask and answer questions! The question sticker is a great way to engage with followers and get them to interact with your posts. The question sticker can be found in the regular sticker menu and can be added to any photo or video you’re uploading. The sticker can then be used to ask followers a question (“What’s your favorite place to eat in Downtown LA?”) or to encourage followers to ask them questions (“Ask me something you’ve always wanted to know!”). Either way, using the question sticker on your post is a sure way to increase your engagement and get people participating with your posts. How come the questions don’t work for me? Many users have stated that when they click on a question sticker in someone’s story to answer it, they are unable to reply. If you’re experiencing this error, you most likely have not updated your Instagram app yet. Updating Instagram should fix this problem. How do I view replies to my questions? You can view how another user has replied to your question sticker by swiping up on your story to see the viewers. From this screen, you are also able to share a friend’s reply as a new story. What’s the point of questions? The new questions feature on Instagram is an effective tool for boosting engagement, regardless of whether you’re an influencer, company, or regular user. People naturally love voicing their opinion, and using a question sticker in your Instagram story is the perfect way to entice users into doing so. By giving your followers an outlet to express themselves, they’ll feel more connected to you and your brand.